This growing violence in Ekiti state has called for a serious concern ahead of the gubernatorial election in the state on July 14. A supporter of the Peoples Democratic party (PDP) was murdered gruesomely today in Ikere Ekiti by some political thugs. 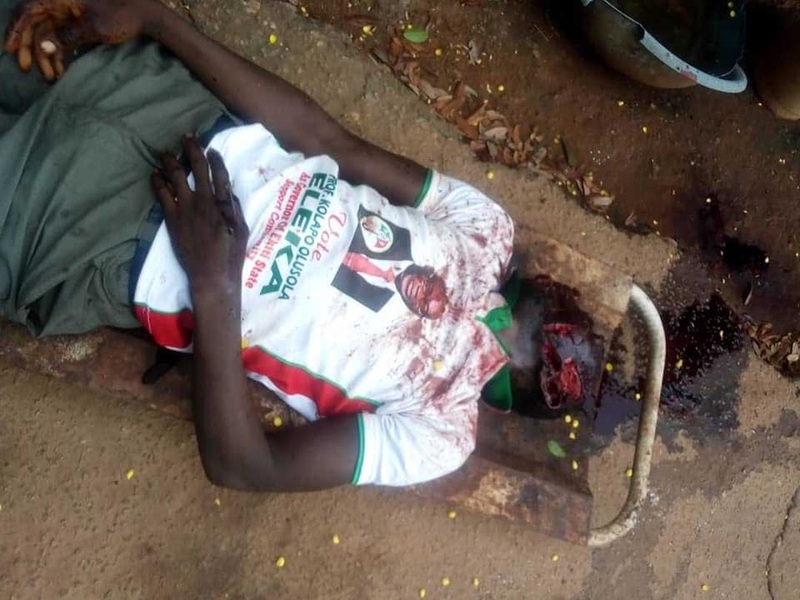 According to reports, the deceased identified as Egbe Yusuf was wearing the campaign shirt of the PDP governorship candidate, Kolapo Olusola before he was attacked and butchered by the assailants in broad daylight.